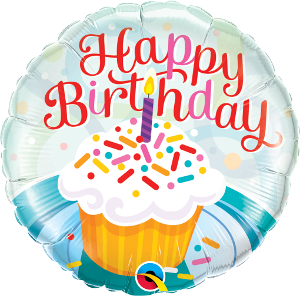 Wish someone a happy birthday with this cupcake and sparkles balloon! Perfect for someone who loves cupcakes! Well who doesn't? !